Whether you’re interested in improving your current home or in the process of building a new home, plantation shutters have a variety of benefits. From Energy efficiency to privacy to protection from weathering to an elegant style, plantation shutters are worth considering. There’s a reason they’ve become so popular… many reasons in fact! Lets start with the most obvious: They add an interesting and visually pleasing element to your home. They are versatile and work well with a variety of décor. Because they block heat from entering your rooms in the summer-time plantation shutters add to the energy efficiency of your home which means they save you money on your energy bills even as they help our environment. Just as sunlight causes outdoor objects to fade, it also fades indoor surfaces, most notably fabrics. Plantation shutters are a fantastic way to protect your indoor valuables from such fading.  If you value your privacy you’ll also appreciate the protection offered by shutters which block the view from prying eyes. Unlike blinds, shutters have no cords or chains that might be a choking hazard if you have small children. Plantation shutters are easy to maintain and only require dusting and a once a year wipe down. Along with simple maintenance comes durability. Your shutters can last many years. 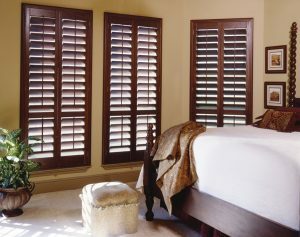 Of course plantation shutters are a great way to add value to your home should you ever want to sell it. Last, shutters are an asset to many of the rooms of your home working with a variety of home decorations. They’re a great fit for bedrooms, bathrooms, kitchens and other living areas. Previous PostWelcome to the new Dan-Dee blog!